So earlier this year, I posted a rant about the state of smartphones in 2018 and in that article I felt quite optimistic about what we will see from smartphones this year. Xiaomi might be proving me right with their recently released video doing the rounds. 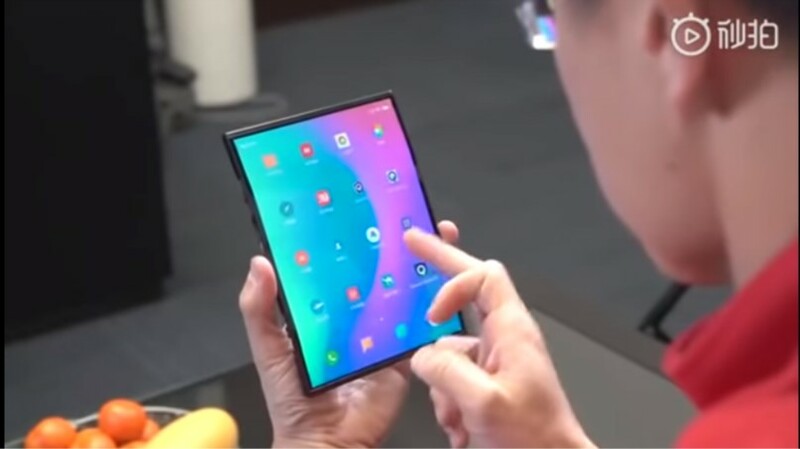 The video features Xiaomi’s President Lin Bin and he’s using a futuristic looking foldable phone and it seems like the most attractive execution of the foldable design we’ve seen so far. That’s if we are discounting movies and prototypes that will not hit the markets any time soon. We’ve seen phones with bezels made smaller in promotional videos and other slight edits so I’ll believe this is the final form of the device when we start seeing footage that’s taken outside of Xiaomi’s controlled environment. The phone transitions from being a sizeable tablet to a manageable but still big phone as both sides can be folded. This must be the “four wheel drive folding shaft technology” that The Verge reports Xiaomi as being said to have mastered. It’s no surprise that the UI automatically resizes in this video as Android already confirmed foldable phone support for 2019. One would think that manufacturers are being given time to get a hands-on feel with this feature and that could be what’s in use in the video uploaded by Xiaomi’s president. It could also just be Xiaomi rendering on the basis of what they think it would work like. The only problem with my theory above is that Mi UI looks like it still suffers from the same problems that doomed most Android tablets. Maybe it’s in the software stakes where Samsung will pull away as their experience with Dex means they have experience with software for tablet and computer sized screens. Another interesting thing will be seeing how Xiaomi deals with the screen once you’ve folded the phones because in the demo video the parts of the screen looking away from the user were still lit up, which will probably destroy battery life. Anyway using an OLED screen will probably rectify that if this device goes to market. One last concern I have with a device that big will be the thickness and the weight. It looks pretty thick but if the battery life justifies the size very few people will have problems with the form factor but I wonder what the weight will feel like for everyday carrying because consumers will now be expected to carry around a device with tablet weight in their pockets which might not be comfortable. What do you think? Are all these compromises worth what might turn out to be the one device that does everything? Will this be better than the already announced Flex Royole and Samsung’s incoming foldable which will reportedly be named Galaxy F? It’s a wonderful concept and practical, so long as the screen has high anti scratch or crack properties. Another challenge may be the price point. Looking forward to seeing the final model!